With this Gorham flatware set, you'll be ready to host the next dinner party. 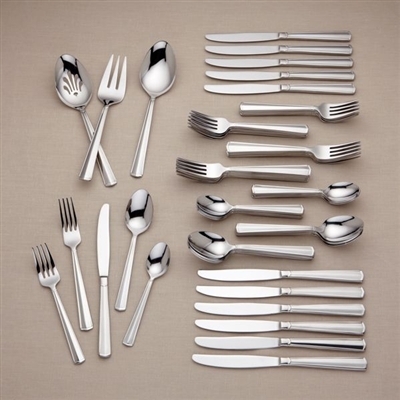 The set includes twelve 5-piece place settings plus additional serving utensils. Whether you meticulously arrange each place setting at the dinner table, or display your Belcourt flatware in a buffet caddy, your guests are certain to be impressed.